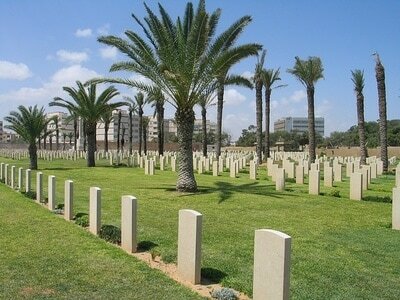 The Cemetery is in the Mansura district of Tripoli, 2.5 kilometres west of the city centre. 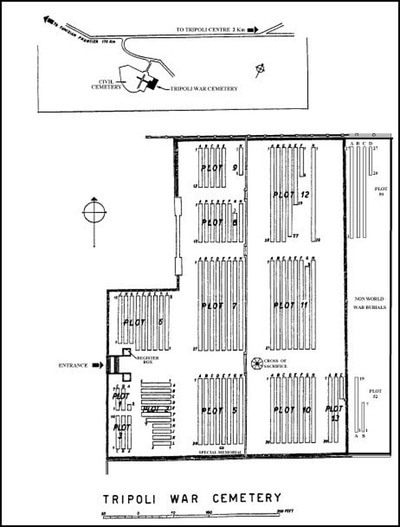 It is located off the westWar ern end of Sharia Jamahuriya, close to the major roundabout at Bab Gargaresh. 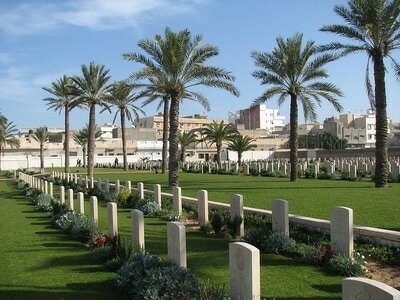 Access to the War and Military Cemeteries is via the now disused Italian Municipal Christian Cemetery. From the main gate of the municipal cemetery follow the avenue for about 100 metres to the small piazza with a crucifixion scene sculpture and turn left (east). 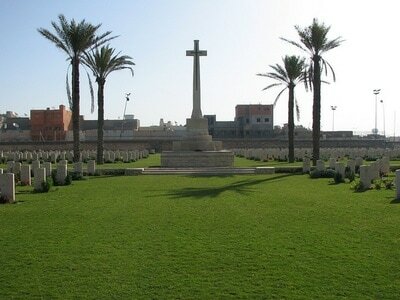 The stepped entrance to the War Cemetery can then be seen 100 metres ahead. Tripoli Military Cemetery is co-located within Tripoli War Cemetery, within which it comprises Plots 50-52, adjacent to the eastern boundary wall. 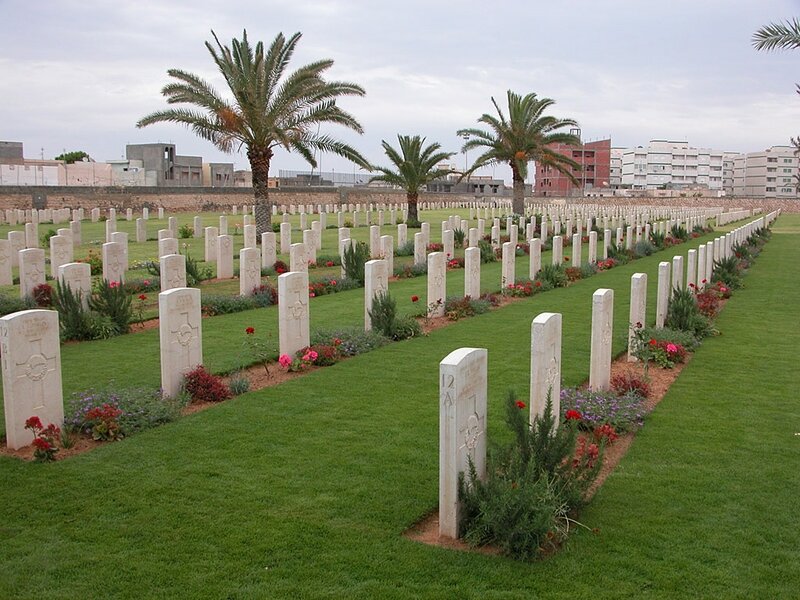 NOTE: Visitors to Libya may wish to note that a major renovation programme is planned for a number of our cemeteries in the country. Headstones and other features, which have become eroded over time by the harsh climate, are scheduled for replacement. Further details will be made available shortly. We apologise for any inconvenience and we would respectfully ask visitors to be patient with us while this work is ongoing. ​During the North African campaign, Tripoli was an important Axis base until taken by Montgomery's forces on 23 January 1943. 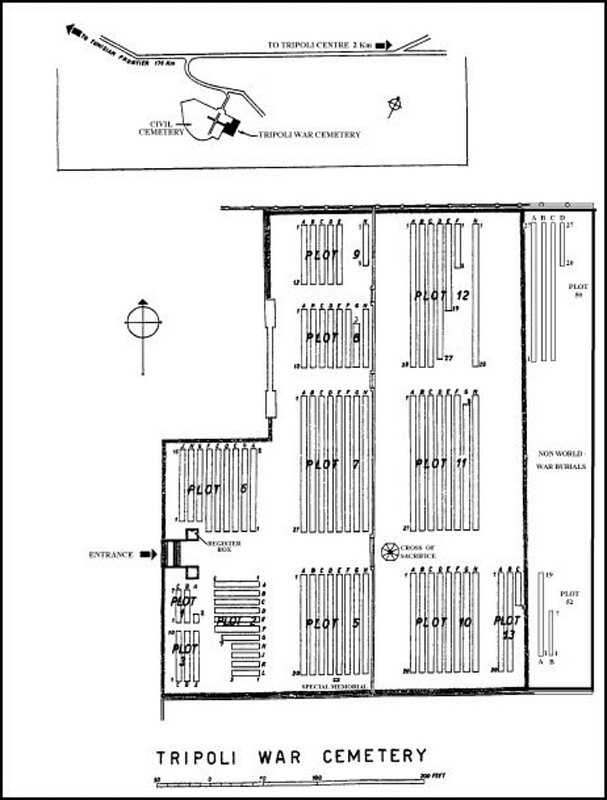 It then became a hospital centre, and the burials in the war cemetery were almost entirely from the hospitals, which included Nos 2, 48 and 133 General Hospitals from March 1943, and No 89 General Hospital from April 1944. Tripoli War Cemetery contains 1,369 Commonwealth burials of the Second World War, 133 of them unidentified. 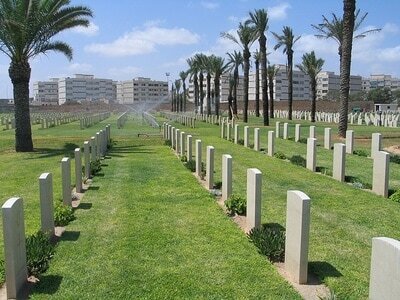 There are 19 non Commonwealth burials and 7 non world war service burials here.